Its all about works in progress this week, as the start of a productive phase kicks in. I was lucky enough to join a couple of sweet dudes in Memphis for a four day collab session a few weeks back, and it was great. They are launching a couple of super secret clothing lines that are sure to make some waves. These undisclosed gentlemen flew me down, cooked for me, took me fishing on the Little Red, and all I had to do was use the creative side of my brain and come up with fancy doodles. We had a blast! If you get the chance, go down to Arkansas and fish the Little Red River and stay at Fat Possum Hollow. Maurice will take care of you, and the cabins are lights out. Anyhow, we got to creating some sweet stuff and upon my return home I have felt the urge to pump out art. Couple that with a trip to the Minnesota Institute of Arts/Minneapolis College of Art and Design, and we've got a recipe for some trout on acid. Some of this is commission work, but some will be open season once completed. I have always been captivated my modern art, especially impressionism and expressionism. 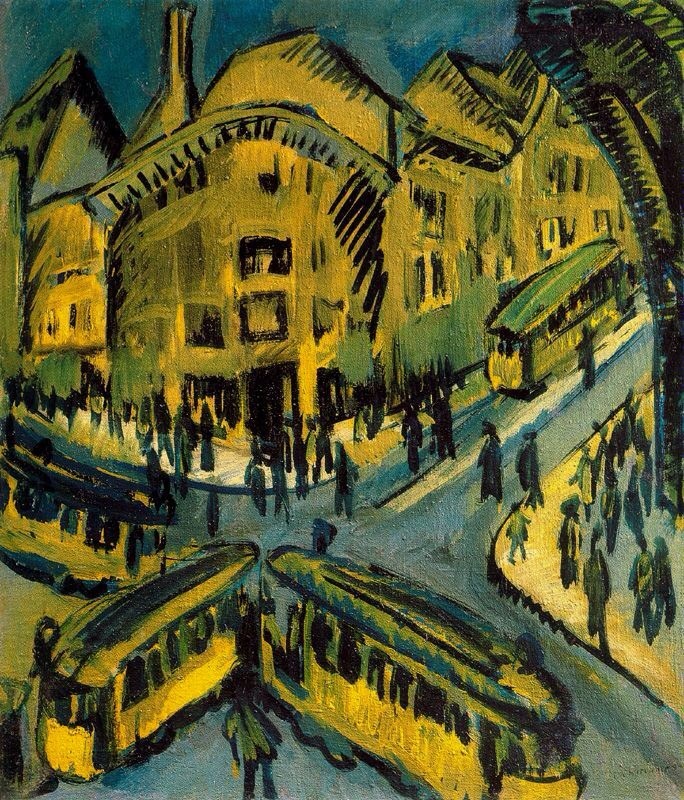 I was taken by the work of early 1900s artist, Ersnt Ludwig Kirchner, while visiting the MIA. 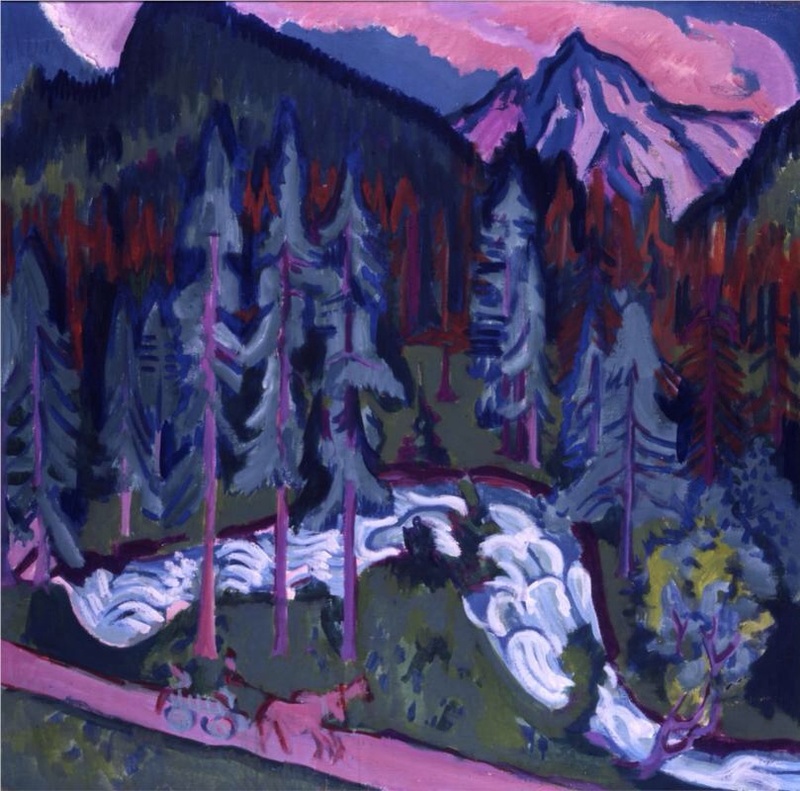 His use of intense and unusual color is moving, while fat black lines speak to the heaviness of his world. The way Kirchner portrays society as dark, ominous, monstrous, and rigidly paced speaks of a time of change. I aim for this uneasiness in my work. Quick assertive line and vibrant color are aids to the vision of a public amassed in overstimulation . This quickly changing reality is seen both in the early 20th and 21st centuries. 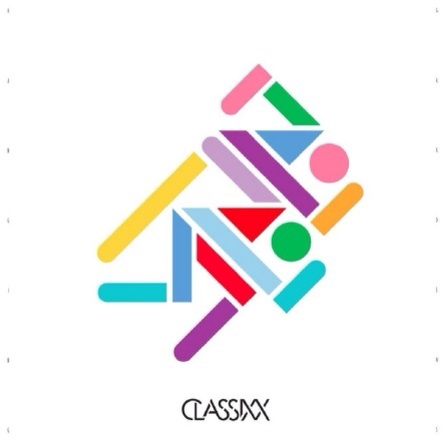 Musically I have been jammin' on Classixx. This duo reminds of the time when the 80s met House music...during a game of laser tag. I'll admit it's not for everyone, but if you've got some art to finish it seems a good remedy. All in all, it feels good to be busy with something you love doing. Even if it's after work and on weekends. Here are some pics of what has been going on in the laboratory. First off we have some lovely fish heads! These are heading to Ed Anderson's gallery, Fulton Street Showroom, in Boise Idaho. Next up is a three piece series highlighting conservation. I will write a full post describing the meanings of these once they are all completed. In the meantime here are the two that have been completed. Enjoy!